Suitable for those who have grasped the basics & now wish to develop their skills. You should be able to thread up a machine, sew in straight lines, curves & turn at corners using straight & zig-zag stitching. Typically you will have worked through 2 to 3 of my starter projects or their equivalent. 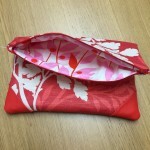 You will make a fully lined clutch bag with added wadding to give it structure. This lesson also includes inserting a zip (ideally this won’t be your first time inserting a zip, I usually suggest making the zipped purse first if it is) & adding an internal pocket. 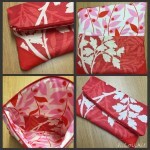 By including a lining you will get a neat & professional finish (with no need to finish off any of the seams!). Finished size is approx. 35cm wide by 25cm tall when folded. Bookings are available throughout the week, including evenings & weekends. CHECK MY AVAILABILITY & MAKE YOUR BOOKING HERE. There are sewing machines & all the tools you will need at the studio. You are also very welcome to bring your own machine if you wish. Other than the requirements mentioned above, all materials will be provided. I have a wide choice of fabric scraps & will supply haberdashery items including cream & black zips, interfacing, piping cord & wadding as required for your chosen project, at no extra cost. 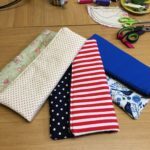 My Sewing Lessons for 1 or 2 people are designed for you to learn the relevant sewing techniques at a pace that is comfortable for you. This does mean that in some cases we may not complete the project in my suggested time frame & you may wish to book an additional lesson or complete the project at home. If you book a series of lessons then we will just carry over projects as & when we need to. 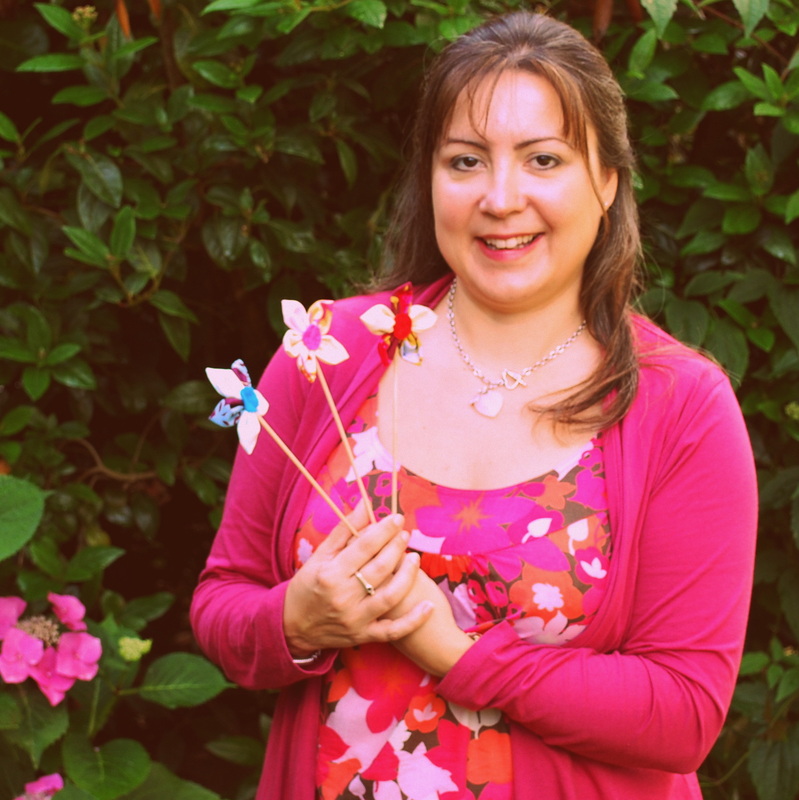 I regard the Sewing Get-Together of 3 to 4 friends as more of a one-off social event, so my focus is on you completing the project within the time that you have booked. This means that I will guide you through each step but will not provide the same one-to-one instruction as with a sewing lesson. I also allow extra time for most projects as they do generally take longer with more people in the room. Once you’ve picked your project please book your lesson here.